One thing I have noticed coming through again and again in all the post-referendum Facebook posts, tweets and blog pieces is the sense that so many people don’t feel listened to. This has been picked up in newspaper articles and comment pieces too. It seems that many Leave voters were motivated to put their cross in the second box because they felt the political elite in Westminster weren’t listening to them, just as much as feeling an objection to the EU itself. And many Remain voters felt upset that their fears about the future were being dismissed as sour grapes. In the disputes that have arisen ever since between people on different sides of the divide – and in some cases on the same side – there has been a palpable sense of anger and frustration borne out of the feeling “you’re not listening to what I’m saying”. This failure to listen to and see the perspective of others is having a major impact on every single one of us and will continue to do so for years to come. The failure of the Remain campaign to really listen to people’s anger and frustrations prevented them telling the story of our potential future within the EU in a way that acknowledged those worries. 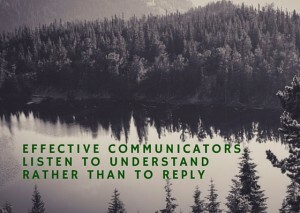 This is one of my favourite communications-related quotes. Avoid being judgmental and jumping to conclusions about them and what they mean. Reflect on what they’ve said and check you understand what they mean. Use an appropriate tone of voice to ask questions to check you really do understand. If you have a better understanding of other people’s fears, interests and motivations, you have a better chance of communicating your messages in such a way that allays their concerns and matches up with what interests them. You may also find you need to reconsider your messages altogether. I believe that if people don’t feel listened to there is a high chance that they will quickly become disengaged. As we are now seeing on a country-wide scale, this has serious, significant and long-term consequences. 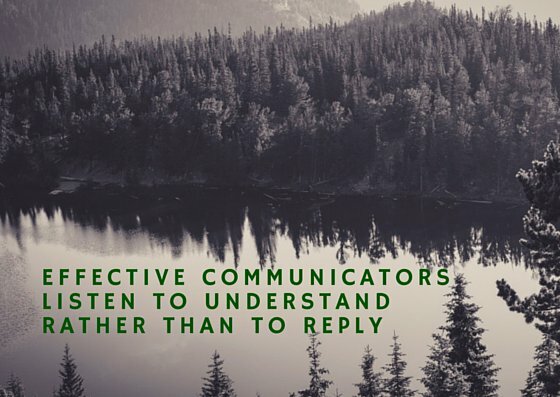 If you are looking to avoid a situation like this in your organisation – or any group or community you are part of – I would strongly recommend that you start genuinely listening to others with a view to understanding them. And I would recommend that you do it now. If you would like help in listening to the staff and volunteers in your organisation, please get in touch to see how I can support you.